Let them eat candy! 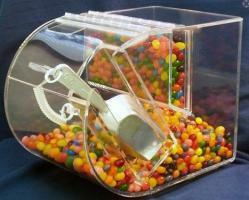 Create a candy utopia in your store with this 9 inch Wide Acrylic Round Faced Bin. A clear acrylic bin offers the best design in retail containers. Giving you two doors for easy access and refilling. The front is designed for selling the materials inside and the back rear door is for your employees to refill with ease. Your glorious selections are easily seen from all sides in this shatterproof candy bin that is easy to clean and maintain. Your customers are going to enjoy your brand new candy display. 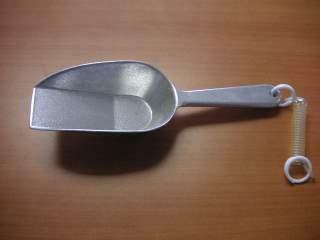 Included is a tethered scoop to help make self-service easier and more efficient. What are you waiting for? Get started increasing your sales by placing your order today!